3. 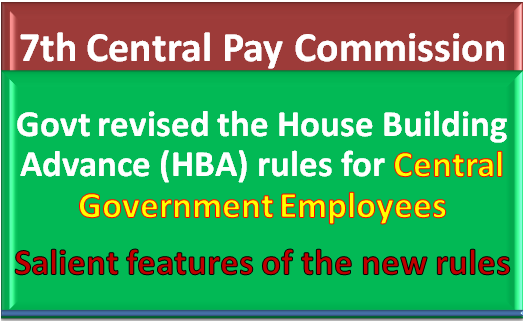 The cost ceiling limit of the house which an employee can construct/ purchase has been revised to Rs.1.00 crore with a proviso of upward revision of 25% in deserving cases. The earlier cost ceiling limit was Rs.30 lakhs. 9. The clause of adding a higher rate of interest at 2.5% (two point five percent) above the prescribed rate during sanction of House Building Advance stands withdrawn. Earlier the employee was sanctioned an advance at an interest rate of 2.5% above the scheduled rates with the stipulation that if conditions attached to the sanction including those relating to the recovery of amount are fulfilled completely, to the satisfaction of the competent authority, a rebate of interest to the extent of 2.5% was allowed.